With the triumph of The Shirehorses behind him Mark Radcliffe decided to start a new band. He and the Afternoon Show's studio Manager (Chris Lee - Chester's Dark Prince Of The Mandolin) formed a Pogues tribute band called The Mahones. Their repertoire consists of Pogues covers, other traditional / Irish material (including jigs/reels) and a few of Mark's original songs including one called 'Beer and Cheese' in a Pogues sort of style. They also do a couple of Waterboys numbers including Fisherman's Blues. 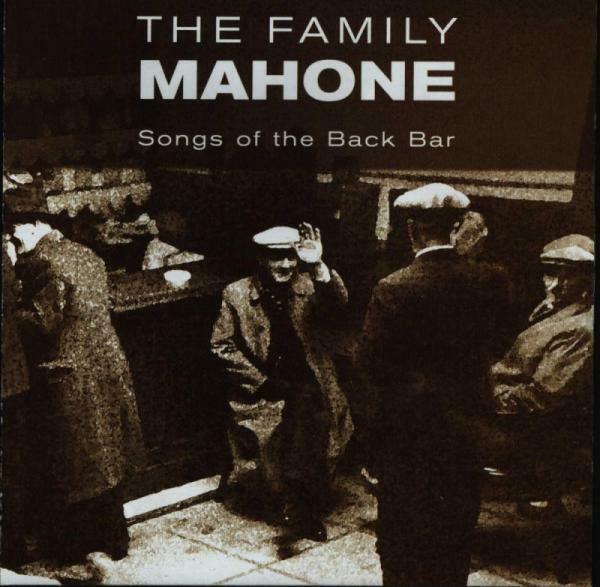 Soon after forming they discovered that there was a Canadian band also called The Mahones so they decided to change their name to The Family Mahone. The band has done a fair bit of touring in all sorts of pub venues. Some of the dates are shown on this page. 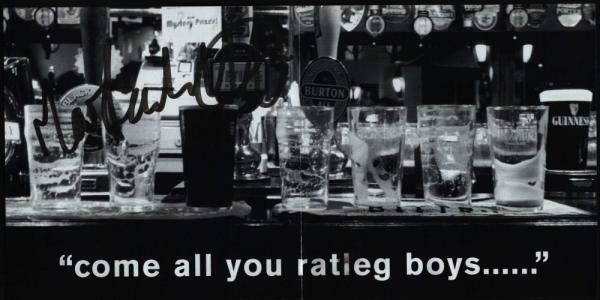 They have recorded an album of original material (including several Radcliffe penned numbers) which was called "The Songs From The Back Bar" and came out on 28th May. Thanks to Eleri Jones for sending these photos in. 5. Knock John		    - trad./Words by D.J. 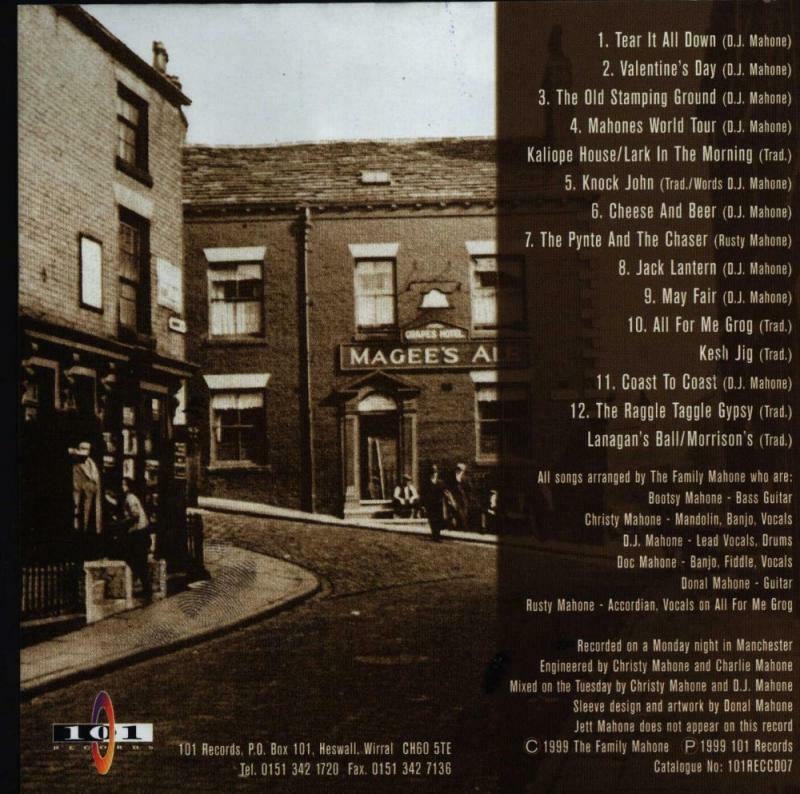 12.The Raggle Taggle Gypsy  - trad. All songs not otherwise marked are written & sung by D.J. Mahone. Donal Mahone (Don Allen) - Guitar, he is responsible for the design and photography on the album. He founded the band with Mark. Rusty Mahone (Russell Mabbutt) - Keyboards and Accordion and Vocals. He's based in Chester. Many folks in the n/west may recognise him as a loud singing and dancing busker! He's been a pro in the music industry for 13 years on & off. Doc Mahone (Dave Russell) - Fiddle, 5-string banjo and Vocals. Doc first met Mark when Full House were playing at his wedding and their drummer couldn't make it so Mark stepped in at the last minute. "Rusty" and Doc Mahone are local folk/rock musos recruited by Chris. Bootsy Mahone (Rob Fawcett, show's Production Assistant) was the former bass player and has now been replaced by Charlie Mahone. The album has been recorded and is being touted around record companies at present. We hope to release it later in the summer. It includes 9 original songs written by Mark. We went for a live feel, so it was recorded live to 24-track one evening between 6.00pm and 10.45pm, then we went to the pub. Mark and Christy mixed it the following day. There will be a recording at some point, but I'm not sure how or when. There is a bootleg in existence of the Chester festival gig but the recording balance is not good enough for commercial release although the sound quality isn't bad. The banter between songs is the best bit, as apart from Mark's comedy talents, the rapport in the band is unusually good for a 6-piece! The record company who did the Shirehorses album is interested in doing something else, but I imagine they will want Mark AND Lard so it won't be the Mahones. Dave Russell on the possibility of a Mahones album. The stage act also features the only known example of an amplified barrel of beer, captured for posterity on the Chester Folk festival tape. It sounds like someone having a p***! This is actually fairly typical bad behaviour for a folk band, and Mark has taken to it like the proverbial duck to water! Yales,Wrexham - 18th November 1999 (Turned on Christmas lights in Wrexham, then played in). Played on St. Patrick's day in Mark's local. They played at Mark's 40th Birthday party along with the Shirehorses and the "Budworth Beatles". These are just the dates that I know they have played. I'm sure there are many more. Doc Mahone runs the Family Mahones Web Site which includes the lates Mahones tour dates and Mahones information. Thanks to Dave Russell and Russell Mabbutt from the band for sending me this information. If you know anything else about The Mahones then please email me .